Prepare Your Patio for Fall | Gold Eagle Co. While the weather in the winter and summer can vary quite a bit depending on where you are, fall is pretty much universally beautiful. That’s why so many people get excited at the prospect of sitting on the patio enjoying the weather every autumn. 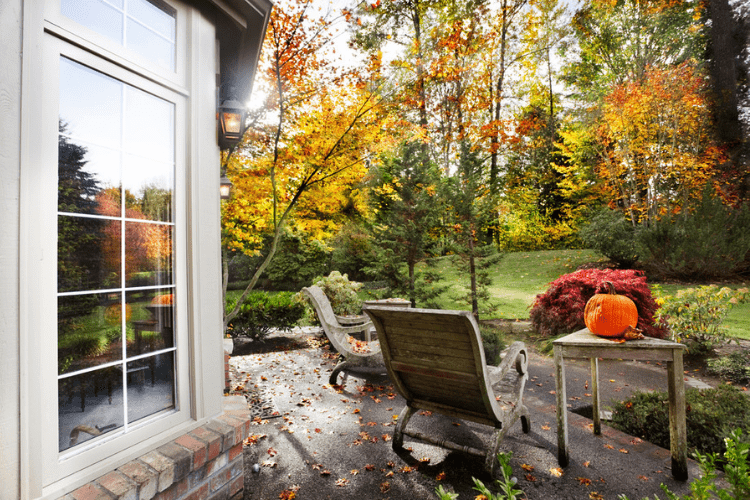 But before you head outside with a drink in hand, ready to take in the gorgeous fall scenery, make sure your patio is truly prepared for fall with these tips. If you used your patio during the summer, there might be some stray sidewalk chalk or remnants of old water balloons strewn around it. And if you didn’t use it all season long because it was too hot out, there’s probably a thick layer of dirt and dust on your patio and any furniture you have out there. Either way, it’s time to clean! 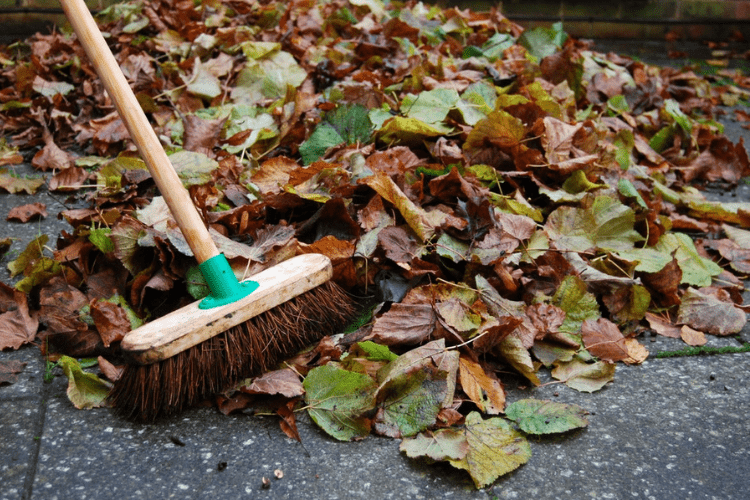 You can start by sweeping up dust, leaves, and other debris from the patio. If there are any stains on the surface, you can use a spray attachment for your hose to remove them. You might also consider using a pressure washer to really prepare your patio for fall, assuming there are some tough stains on the ground. You can clean your patio furniture for fall by spraying it with the hose. Then treat any stains on the cushions or pillows with special cleaning solutions just for this purpose, such as 303 Patio Fabric Cleaning Bundle. You know how you get excited to decorate your house with fall décor, from pumpkins to wreaths full of autumn leaves? You can do the same on your patio! After all, when the weather is nice, this area can become an extra living space for your family, so you might as well make it look just as nice as any room in your house. You can start by putting a nice fall wreath on your patio wall—such as one of these DIY wreaths from Country Living. If you have any end tables or coffee tables outside, add some fall flair by putting a pumpkin or two—real or fake—on it. A vase with fall flowers would also look nice, as would a wicker basket with a mix of pinecones and tiny pumpkins. Basically, start with fall colors—like orange, brown, and red—and get creative as you prepare your patio for fall with the right décor. Nothing says fall like a crackling fire on a crisp autumn evening. Just make sure your fire pit is prepared to be used quite a bit this season. If you didn’t cover it for the summer, you might need to dust it off so it looks nice. Then get it ready for nightly use depending on what type of fire pit it is. If it’s a wood burning fire pit, make sure you have plenty of logs ready to go. You’ll also need tinder to start the fire, and kindling to keep it going all night. Of course, keep some matches or a lighter on hand as fall begins. And if you have a propane fire pit, make sure you have a full propane tank ready to go. Another way to prepare your patio for fall is to ensure it’s comfortable for those chilly nights. This means putting plenty of soft pillows on your outdoor seating. You should also throw a few fuzzy blankets over the backs of your outdoor chairs or couches. Fall is all about staying cozy, both inside and outside of the house! Even your outdoor lighting can get into the season. Sure, the typical ceiling fan or sconce on the wall can provide sufficient lighting, but your patio deserves a little something extra this fall. For example, you can put up string lights across your patio for a pretty look and some extra illumination. You might also consider putting a fake pillar candle into a lantern, or adding an orange light bulb to an existing sconce to create a spooky look for Halloween. Now that your patio is ready for fall, make sure the rest of your home is, too! Get started by reading our guide on Getting Your Home Ready for the Fall.